School started this week. I have a second grader and a full-day kindergartener in two different schools with one homeschooled preschooler still at home. I’ve been a stay-at-home mom for nearly eight years, and I’m now adjusting to the change of mommy seasons. It seemed like not long ago, I had nothing but babies and toddlers at home, and every day was like summer break with endless trips to the library, zoo, and mommy playdates. My daily schedule was ruled by play time, housework and PBS Kids programs, while our activities were planned around nursing schedules, naptimes and potty-training. During those years I had time to read books for learning and leisure, surf Facebook unashamedly, and had hours of solitude and quiet in the middle of the day during naps. But, on the other hand, I also yearned for adult conversations and any excuse to get out of the house to break up the domestic day-to-day of mommy monotony. Now, there are no more naps, no more quiet, suckling infants. Baby food and bottles have been traded for macaroni and cheese or chicken nuggets….. Keep reading over at the Portland Moms Blog! Yes, eliminate all that really do not interest you and choose opportunities that bring you with your children and don’t forget other adults too. It is good to have someone to listen and who will also listen back for you. Thanks for sharing with us here and at Tell me a Story. Hey Wynter – just wanted to stop and leave you a note… we are neighbors at #ThoughtProvokingThursdays and #IChooseJoy. 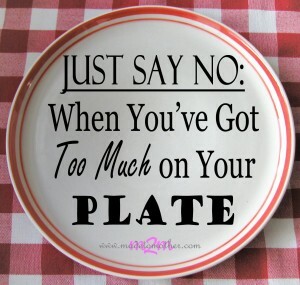 Great advice on how to say no, and how to determine what to say no too! 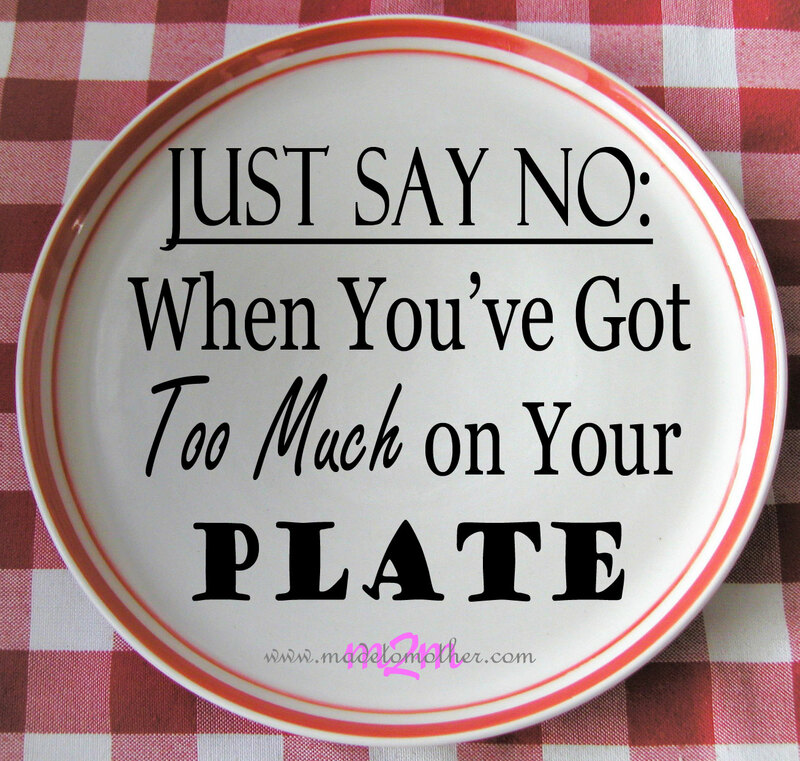 My kids are grown – 1 out of college living in another state and 1 in college, and I still have things that require me to assess and evaluate whether I should say yes or no…. I didn’t do very well earlier in life figuring out how to say no, but I am getting much better as I get older and wiser. Thanks again. PS – I noticed your picture above and it reminded me of the photo booth background at Allume last year – did you happen to attend that conference in Greenville, South Carolina?